1862, a time of great turmoil. As the American Civil War tears a nation in two, dangerous men prosper through bloodshed. 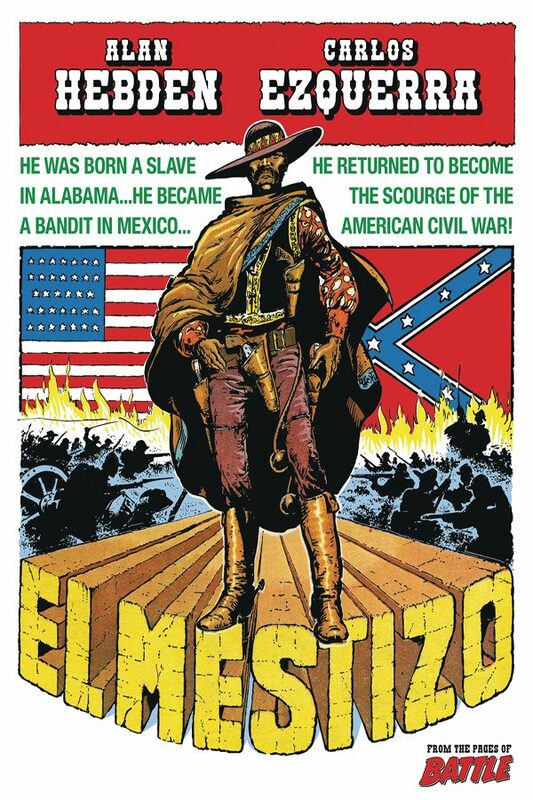 El Mestizo was once a slave who managed to escape to Mexico. Now he’s come back over the border, a mercenary for hire. But is he really allied to neither side? High-octane revenge Western from the co-creator of Judge Dredd. Perfect for fans of Moebius’s Blueberry and the motion picture Django Unchained.